Modern lifestyles and changing food habits over the years have led to a growth in the number of chronic disease cases in India. Medapp – a healthcare service provider united around a mission of touching lives, changing lives and saving lives, is all set to revolutionize the way people manage health on a day-to-day basis. Providing patient support and disease management programmes across 30 cities in India, at patients’ doorstep, the company has already touched over lakhs of lives by diagnosing and helping people manage chronic diseases like diabetes, asthma and COPD. 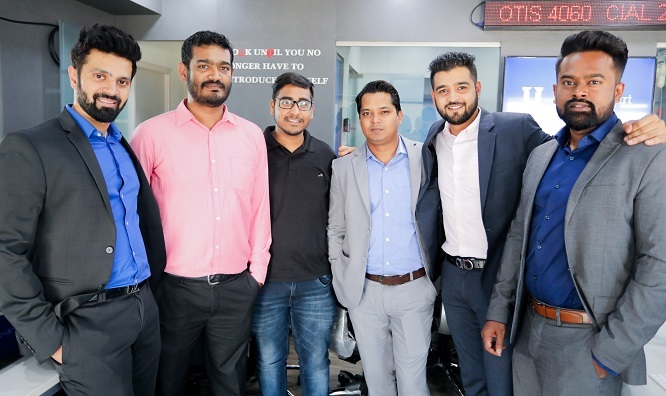 Started in 2015, the bootstrapped company ventured into health services by connecting patients with the existing healthcare system. By holding regular medical camps in multiple cities across India to spread awareness about the importance of ongoing disease management, the founder – Mr. Niranjan Swamy soon realized that the problem of healthcare in India was much bigger and complex to address. “We realized that many people are not aware of the illnesses that they are living with,'' said Mr. Niranjan Swamy, CEO at Medapp, who has more than 12 years of experience in building healthcare teams. Realizing that people today need a balance of accessibility, affordability and convenience when it comes to management of chronic illnesses, they set out to create a powerful social impact by making healthcare easily accessible to the masses, particularly across Tier-3 and Tier-4 cities. The Board of Directors at Medapp is an interdisciplinary group of specialists, with renowned physician Dr. Shiraz Nisar as the Chief Medical Officer, Director and mentor. Dr. Nisar was formerly the Department of Medicine Chairman at Ahuja Medical Center and Co-Chairman of High Reliability Medicine in Sepsis at the University Hospitals, USA. Previously, he has also worked in the Heart and Vascular Institute of the Cleveland Clinic – which was ranked number one in heartcare during his tenure. Dr. Vinod Singh, a former founder & consultant at Hospitech Healthcare Consulting, Former Manager of FACC at MD India Healthcare is serving as the Chief Operations Officer, while Mr. Nabeel Ahmed, a Global Achiever Foundation “Young Achievers Award” winner, takes care of marketing as the Chief Marketing Officer. Mr. Krishna Raghavan, a serial entrepreneur, who helms multiple positions in an array of domains across the business spectrum and finance industry, is serving as the Director of the company. The company organises healthcare-based CSR and commercial activities for leading pharmaceutical and Fortune companies in India which includes health campaigns, onsite health services (onsite injections), patient support and disease management and primary and secondary health care services, bringing awareness amongst school-children, teachers and Aanganwadi workers across villages. Around 60-70 camps are organised every month, each screening 300-400 patients for diabetes, asthma and COPD. “Isn’t it ironic that we’re living in the capital of diseases, and we still don’t have a leader in disease management?,” exclaimed Mr. Ahmed, as he pointed out that Medapp brings to light almost hundred fresh cases of diabetes everyday. As a part of their mission – touching lives, changing lives and saving lives, Medapp aspires to provide primary and secondary healthcare to patients at their doorstep, through services like physiotherapy, blood sample collection, ECG tests with instant report by cardiologists and nurse services on an hourly basis for preventive as well as post-surgery care.